Courtroom hearings are intimidating proceedings, even for those who’ve been through the experience before. Whether you’ve been accused of a crime, are party to a civil action, or need to appear in family court, your behavior can have a dramatic impact on the outcome of your case. Even if you’re represented by a lawyer, it’s important to follow these do’s and don’ts of courtroom etiquette. Almost every courtroom runs on a very tight schedule, so take it seriously. If necessary, plan your route to the courthouse the day before, leaving extra time for traffic, and try to arrive at least 30 minutes before your scheduled court appearance. Casual clothing in a courtroom can create an unfavorable impression with the judge and jury, so dress as you would for a job interview. Men should preferably wear a suit and tie, and women are expected to wear suits or a skirt or dress that falls below the knee. No matter how contentious the case may be, treat the opposing counsel, the judge, and the other party with respect throughout the process. Belligerence in the courtroom, even if you feel it’s deserved, will reflect poorly on you and your case. 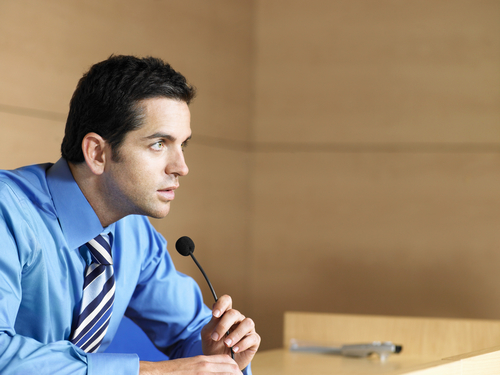 Never interrupt the judge, the opposing lawyer, or your legal representative during the proceedings. Not only will this create an unfavorable impression, but it could also result in contempt of court charges. Having your phone out during a hearing will almost certainly bring negative attention from the judge, especially if it starts ringing. To be safe, turn off your device before entering the courtroom or leave it in your car. No matter what legal issue you’re facing, the lawyers at the Bellotti Law Group, PC, have the expertise to represent your interests and achieve the best possible outcome. This widely-rated Boston law firm has been named among the Top 10 by the American Institute of Legal Counsel, along with accolades from SuperLawyers and an AV rating from Martindale-Hubbel. Follow their Facebook for more legal tips and updates, and visit their website or call (617) 778-1000 to schedule a consultation with an accomplished lawyer today.